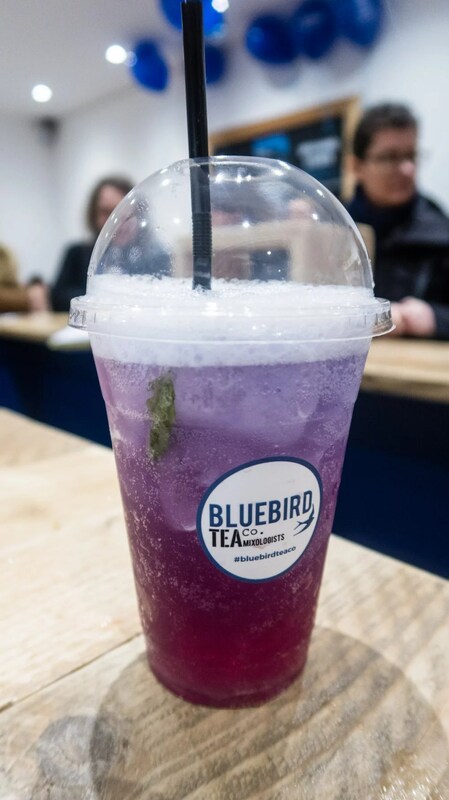 Bird and Blend Tea Co. are originally from Brighton, and have opened up their first Manchester branch on Church Street in Northern Quarter, next door to Oké Poké. 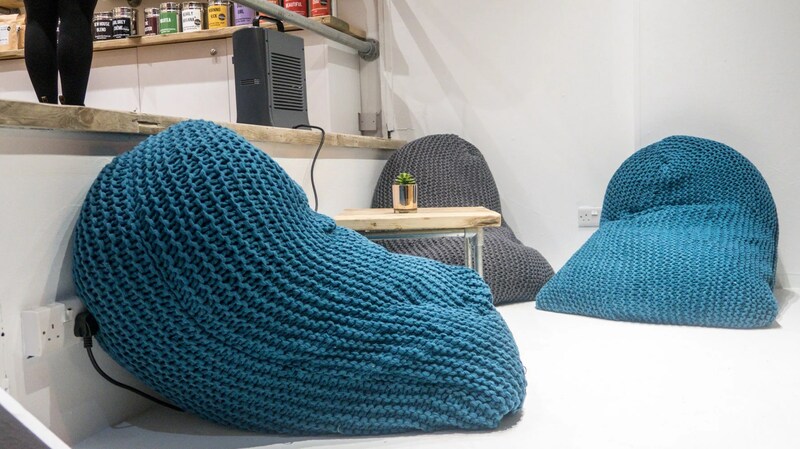 The inside is small, functioning primarily as a shop but there is a table in the back, a tea bar and some beanbag style chairs placed towards the front of the premises. 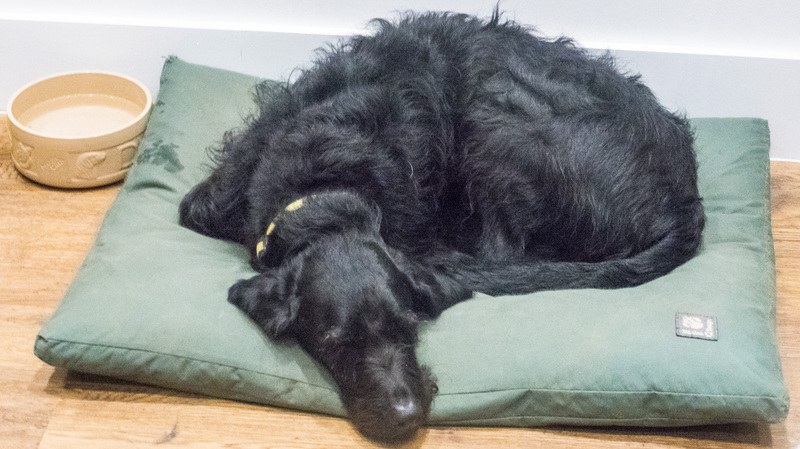 They host some events such as tea mixology and blending workshops and are a dog-friendly place too! 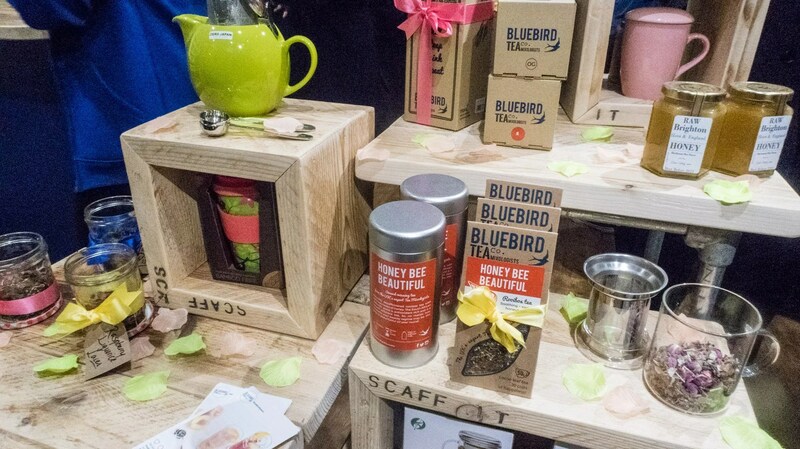 Their teas are colour coded so you can easily look for teas which suit your preferences. At the tea counter, you can ask about each tea. 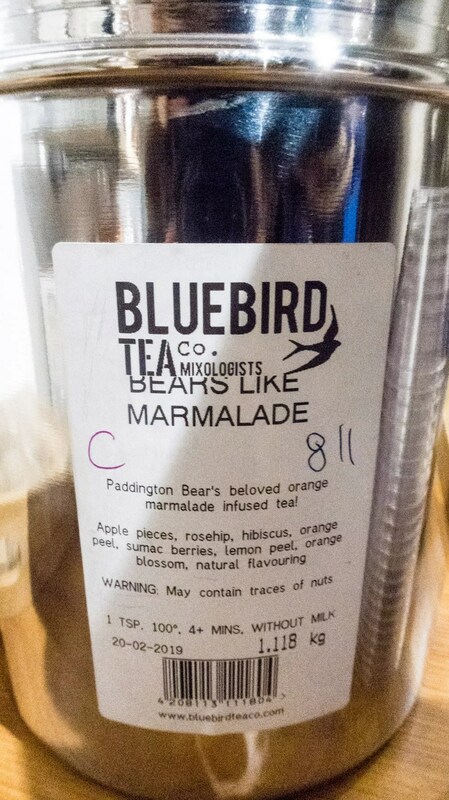 There’s some basic stuff like their house blend, but there’s also more interesting stuff like their Easter Egg Nests black tea or Bears Like Marmalade. The back of every tin has a list of ingredients including how to brew it. This label will be on the packaging of the tea you purchase as well. You can also physically see the tea leaves and smell them before deciding which one to try. 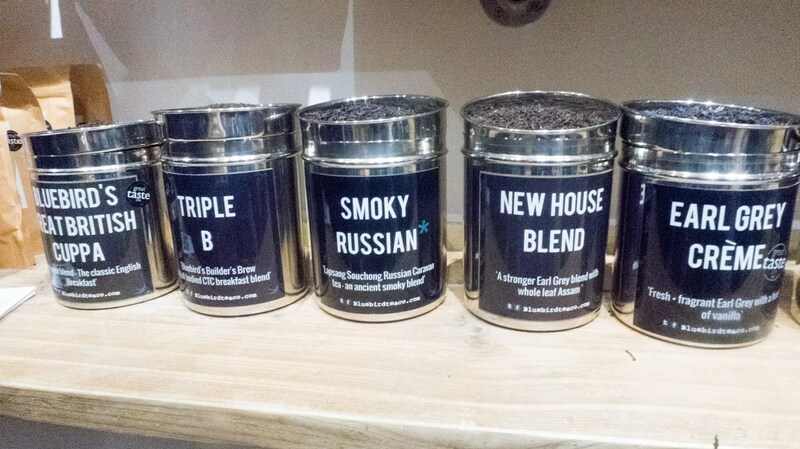 I spent a good 10 minutes at least slowly deciding what teas I was interested in and then another 5 smelling them before purchasing. I am really bad at deciding! 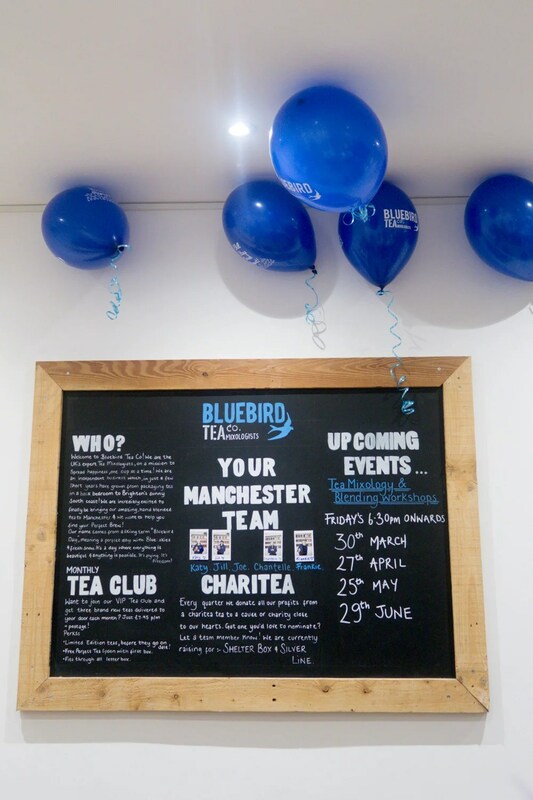 Basic teas start at £3 for a sample pouch of 20g tea leaves which should give you 10 cups of tea. More expensive tea leaves will obviously cost more. 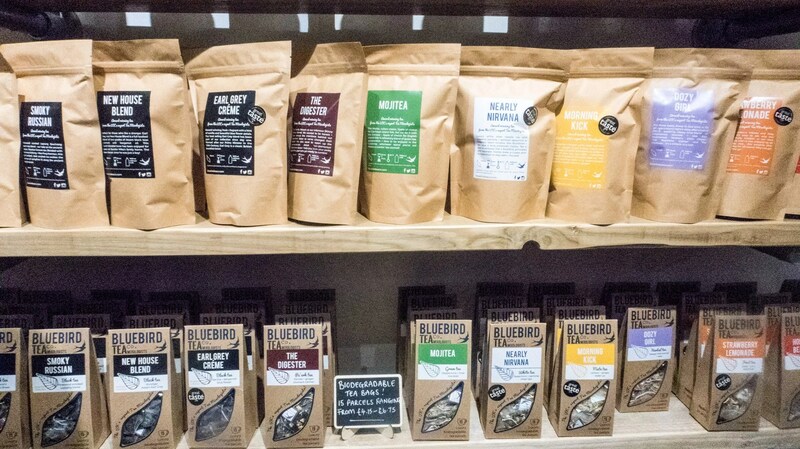 Bird and Blend Tea Co. also has a range of Matcha tea blends which you can buy in different sized tins as well as a matcha kit complete with a whisk. 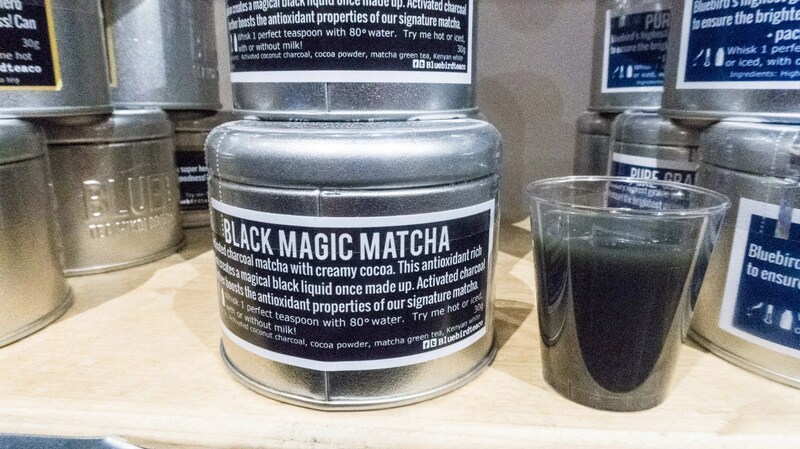 On the day of the launch, I got to sample a variety of the matcha blends and was particularly impressed with the Black Magic Matcha which contains activated coconut charcoal and cocoa powder. A 30g tin would set you back £20, however. 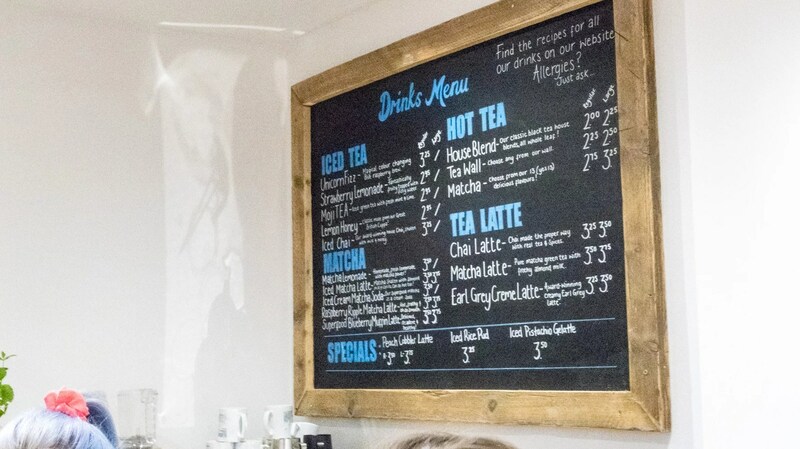 The tea bar serves a selection of hot and cold tea-based drinks to have in or take out. They cater to dietary requirements and all their drink recipes can be found on their website. 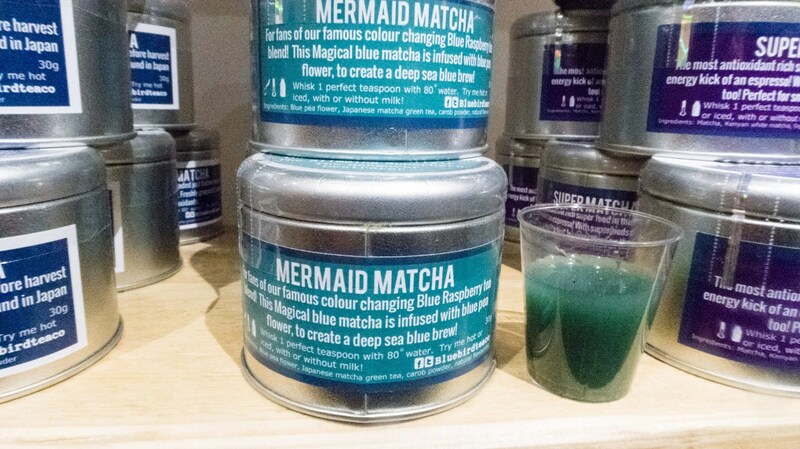 Take for example their Unicorn Fizz which is made using their Raspberry Blue tea, still and sparkling water, vanilla essence and honey. I admit this looked far prettier than it tasted. I much prefer their chai and matcha latte! I think I would definitely be back here once my tea supplies are low (did I mention I hoard tea?). 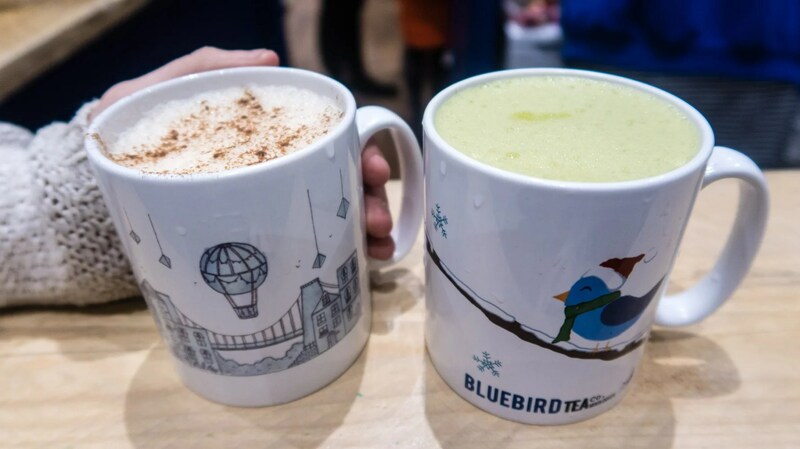 As I don’t drink coffee, it’s nice to see another place catering to tea and tea based drinks instead. 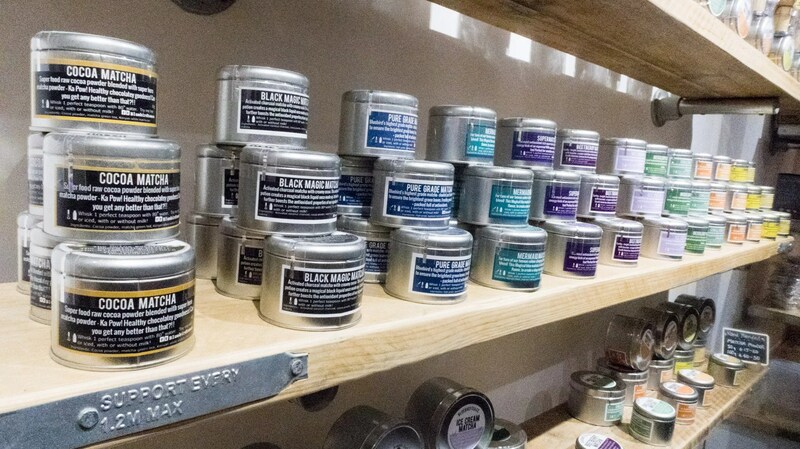 Definitely go in for a visit and smell some of their unique blends before exiting. Perhaps even make a purchase! Just don’t forget to bring your own container to get that 10% off! 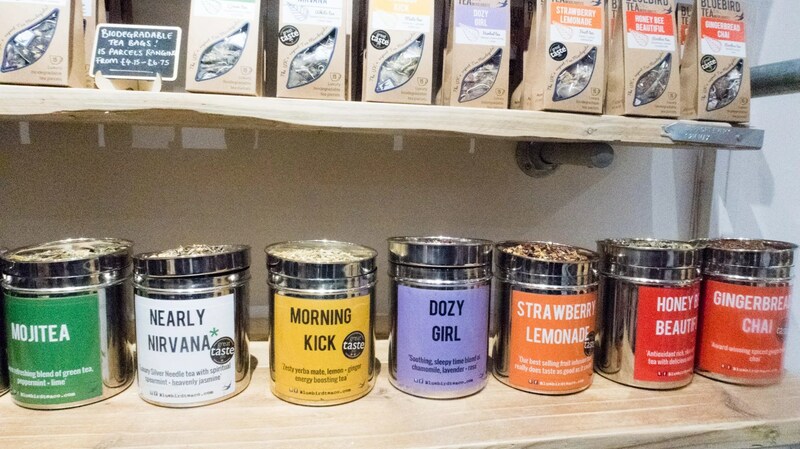 What type of teas do you like? 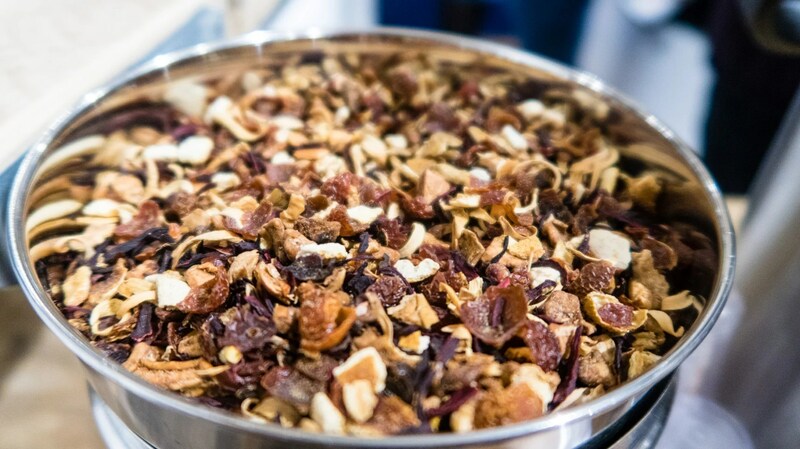 If you don’t like teas, what is your non-alcoholic drink of choice? 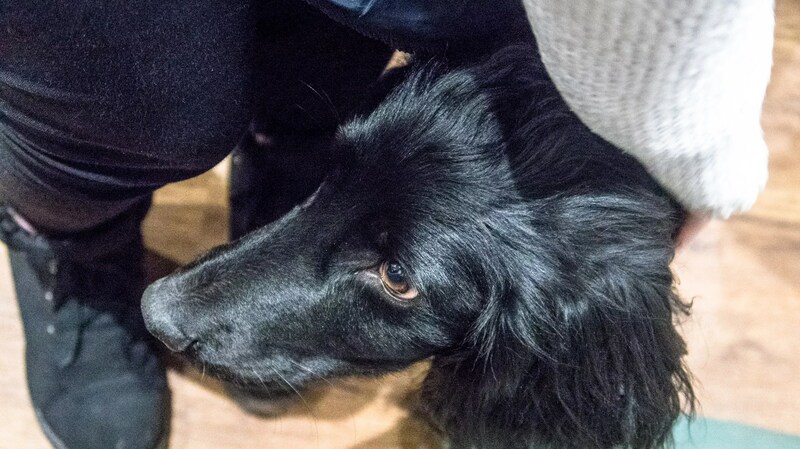 *I attended the public launch event and sampled everything for free on the night.